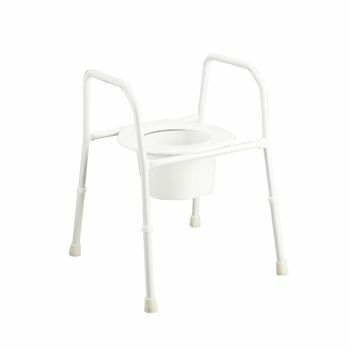 This proven over toilet seat raiser is manufactured from zinc treated epoxy coated mild steel. It is height adjustable and comes complete with a splash guard. Also available in a folding version.